Eamon O’Shea is a Personal Professor in the School of Business & Economics and was inaugural Director of the Irish Centre for Social Gerontology (ICSG) at the National University of Ireland, Galway. He is currently Director of the National Centre for Social Research on Dementia at NUI Galway. He holds an M.A. from University College Dublin, an M.Sc. from the University of York and a Ph.D from the University of Leicester. He has published over 100 scientific papers in refereed journals, including publications in top-ranked journals such as the Journal of Health Economics, Social Science and Medicine, Age and Ageing, Ageing and Society, Health Policy and the International Journal of Geriatric Psychiatry. Professor O’Shea has authored/co-authored 15 books and monographs, mainly in the field of ageing, dementia and social policy. His work has been influential in setting the agenda for the reform of services and policies for people with dementia in Ireland. He was Chair of the National Economic and Social Forum Expert Group on Care of the Elderly in 2005/06 and co-authored the influential Creating Excellence in Dementia Care report in 2012. He is currently a member of the Implementation Group for the Irish National Dementia Strategy. Research interests include: health economics, economics of ageing, dementia and rural ageing. Eamon has published over 70 peer reviewed papers in diverse economics, health and ageing journals including: Journal of Health Economics, Social Science and Medicine, Health Policy and Ageing and Society to name but a few. He has undertaken policy-related research for a range of national and international organisations including: the Department of Health and Children, National Council on Ageing and Older People, the European Commission and the European Council. His work has been influential in setting the agenda for reform of health and social care policy for older people in Ireland. (2008) the Economics of Mental Health Care in Ireland. Dublin: Mental Health Commission. (2004) Policy and Practice for Dementia Care in Ireland. (2002) The Cost of Caring for People with Dementia and Related Cognitive Impairments. (1999) Core issues in European economic integration. (1994) The Economics and Financing of Long-term Care in Ireland. (2014) Reminiscence for people with dementia in long-stay care. (2012) Social exclusion and ageing in diverse rural communities. (2012) Social Exclusion and Ageing in Diverse Rural Communities: Findings from a cross-border study in Ireland and Northern Ireland. (2012) Creating excellence in dementia care: a research review for Ireland’s National dementia Strategy. (2010) Older people in rural communities: exploring attachment, contribution and diversity in rural Ireland and Northern Ireland. (2010) Well into Older Age –Age & Opportunity and the Evidence: what research says about the value of promoting participation of older people. (2010) The Role of Migrant Care Workers in Ageing Societies: Report on Research Findings in the United Kingdom, Ireland, Canada and the United States. (2010) The role of migrant care workers in ageing societies: report on findings in the UK, Ireland, Canada and the United States. IOM International Organisation for Migration Research Series. (2008) The Economics of Mental Health Care in Ireland. (2008) End-of-life Care for Older People in Acute and Long-Stay Care Settings in Ireland. Dublin: National Council on Ageing and Older People. (2008) End-of-life care for olderpeople in Acute and Long-Stay Care Settings in Ireland, Dublin, National Council for Ageing and Older People. (2008) An Evaluation of the Bealtaine festival: a celebration of older people in the arts. (2007) The Third Age Foundation - An Assessment of Role and Contributions. (2007) Enhancing the Quality of Life of Older People with a Disability in Ireland. (2007) The Meaning of Dependence, Independence and Quality of Life for Older People with a Disability in Ireland. (2003) Healthy Ageing in Ireland, Policy, Practice and Evaluation. (2002) Review of the Nursing Home Subvention Scheme. (2000) The Cost of Caring for People with Dementia and Related Cognitive Impairments. (1999) An Action Plan for Dementia in Ireland. (1993) The Impact of Social and Economic Policies on Older People in Ireland. (1992) Care Provision and Cost Measurement: Dependent Elderly People at Home and in Geriatric Hospitals. (1991) The Role and Future Development of Nursing Homes in Ireland. (1991) Urban Poverty, The Economy and Public Policy. (2014) Making it Better or Worse? Organisational Influences on Person-Centred Care. (2007) Willingness-to pay for mental health: A contingent valuation study. (2004) Multidisciplinary team care in arthritis: Magnitude of costs in two settings. (2003) Rehabilitation costs: How does inpatient care compare to outpatient?. (2011) The effectiveness of a structured education pulmonary rehabilitation programme for improving the health status of people with COPD. Paper Irish Thoracic Society Annual Scientific Meeting, Dublin, 11th – 12th November. (2011) Successful training in psychosocial interventions: meeting residents’ needs while acknowledging staff priorities. Paper. 3rd Scottish Dementia & Caring Congress, Edinburgh. 23rd – 24th March. (2011) DementiA education programme incorporating REminiscence for Staff (DARES) study: findings from the pilot study. Paper. 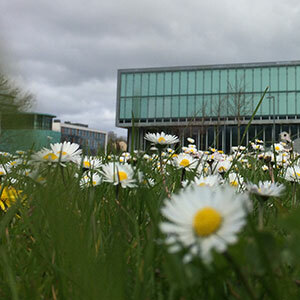 Building and Promoting Excellence in Practice, 3rd International Conference, School of Nursing and Midwifery Studies, National University of Ireland, Galway, April 4th – 5th April. (2011) DARES: The process of developing a structured education programmes within an RCT to examine the impact of staff education on the quality of life of residents with dementia. Paper. 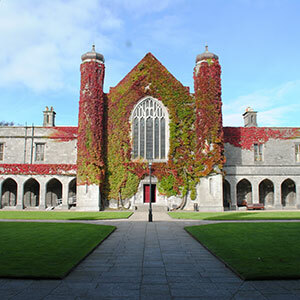 Building and Promoting Excellence in Practice, 3rd International Conference, School of Nursing and Midwifery Studies, National University of Ireland, Galway, April 4th – 5th April. (2011) The effectiveness of a structured educational reminiscence therapy programme (the DARES study) Paper. 3rd Scottish Dementia & Caring Congress Edinburgh, 23rd – 24th March. (2011) Murphy, K. Casey, D. Devane, D., Cooney, A. McCarthy, B. Mee, L. Newell, J. O' Shea, E. Kirwan, C. & Murphy, AW. (2011) The effectiveness of a structured education pulmonary rehabilitation programme for improving the health status of people with COPD. Paper Irish Thoracic Society Annual Scientific Meeting, Dublin, 11th – 12th November. (2011) A cluster randomised trial on the effectiveness of a structured education reminiscence based programme for staff on the quality of life of residents with dementia in long-stay units. Paper. 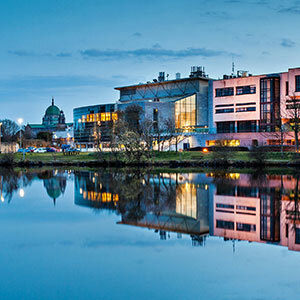 Building and Promoting Excellence in Practice, 3rd International Conference, School of Nursing and Midwifery Studies, National University of Ireland, Galway, April 4th – 5th April. (2010) An evaluation of the effectiveness of a structured education reminiscence-based programme for staff in long-stay care units on the quality of life of residents with dementia: The protocol for the DARES Study. Paper. 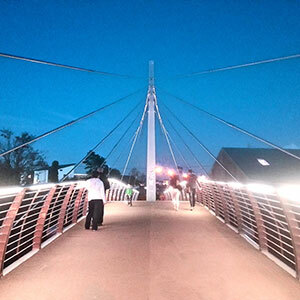 International Association of Gerontology and Geriatrics, Swansea, 1st – 2nd July. (2010) Structured education: the development process and participants perceptions of self-management following a structured education programme. NET2010 21st International Networking for Education in Healthcare Conference. Cambridge, 7-9th September. (2010) Adherence to treatment protocols in clinical trials. An example from the DARES cluster randomised trial. Paper. 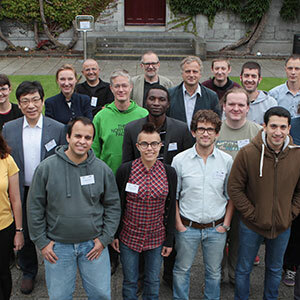 Doctoral Colloquium, Trinity College Dublin, 26th May. (2010) Making a difference through knowledge. Paper. ENTRUST Conference. 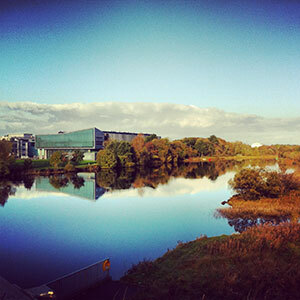 Athlone. 29th April. (2010) A dementia education programme incorporating reminiscence therapy for staff (DARES) – designing the trial. Paper. Centre for Ageing Research and Development in Ireland (CARDI) Conference Belfast, 17th February. (2009) Psychosocial interventions for people with dementia in Irish residential settings: what nurses and health care assistants know, do and want to learn. Paper. Irish Centre for Social Gerontology Seminar Series, National University of Ireland, Galway, 7th December. (2009) A literature review on agitation in dementia patients Paper. Building and Promoting Excellence in Practice, 2nd International Conference, School of Nursing and Midwifery Studies, National University of Ireland, Galway, 6th – 7th April. (2008) Perceptions of health and independence and factors that influence quality of life for older people following stroke. Paper. RCN International Nursing Research Conference. Liverpool, 8th-11th April. (2008) Older people’s perspectives of quality of life in long-stay care: connecting research and standards. Invited Keynote Paper. An Bord Altranais National Conference. Dublin ,12th June. (2008) Older people’s perspectives of quality of life in long-stay care: connecting research and standards. Paper. Placing the Patient First – Nursing and Midwifery Regulation in Practice, An Bord Altranais National Conference, Dublin, 12th June. (2007) Quality of life for older people in long-stay care settings. Paper. Building and Promoting Excellence in Practice, Department of Nursing and Midwifery Studies, National University of Ireland, Galway, April 2nd. (2007) Residents perceptions of activities and therapies in long-stay care settings – Impact on health. Paper. Building and Promoting Excellence in Practice, Department of Nursing and Midwifery Studies, National University of Ireland, Galway, April 2nd. (2007) Quality of life for older people with a disability in Ireland. Paper. Building and Promoting Excellence in Practice, Department of Nursing and Midwifery Studies, National University of Ireland, Galway, April 2nd. (2007) Quality of life of older people with dementia living in the community in Ireland. Workshop. Citizenship: Responding to the Challenge of Dementia. University of Stirling, April 3-4th. (2007) The meaning of connectedness for residents in long-stay care settings. Paper. Building and Promoting Excellence in Practice, Department of Nursing and Midwifery Studies, National University of Ireland, Galway, April 2nd. (2007) Maintaining continuity of life for older people in residential settings for older people. Paper. Sigma Theta Tau 39th Bicentennial Conference. Baltimore, 2nd – 7th November. (2007) Living with a disability: older peoples accounts of their reality. Paper. Sigma Theta Tau 18th International Nursing Research Congress Focusing on Evidence –Based Practice. Vienna, 11th – 14th July. (2007) The meaning of independence and dependence for older people with a disability in Ireland. Paper. Sigma Theta Tau 18th International Nursing Research Congress Focusing on Evidence –Based Practice. Vienna, 11th – 14th July. (2007) Growing older with a learning disability. Panel Discussion. The Festival of International Conferences on Caregiving, Disability, Aging and Technology (FICCDAT). Toronto, June 16-19th. (2006) Improving the quality of life of older people with dementia living in long-stay care. Paper. Symposium on Promoting Quality of Life in Dementia Care, November 10th. (2006) Continuity of life for residents in long-stay care settings Paper. Symposium on Ageing and Values, the European Behavioral and Social Science Research/Research Network on Ageing in Europe/Galway Wisdom Project, NUI, Galway, October 22nd. (2006) Improving the quality of life of older people living in long-stay care in Ireland. Paper. National Council on Ageing and Older People. Tullamore, May 8th. (2012) “MEmories” – Reminiscence with people with dementia in long-term care: a grounded theory study. Poster. 18th Annual Qualitative Health Research (QHR) Conference, International Institute for Qualitative Methodology, University of Alberta, Vancouver, 23rd – 25th October. (2010) DARES: the process of developing a structured education programme to examine the impact of staff education on the quality of life of residents with dementia. Poster. International Association of Gerontology and Geriatrics (IAGG), Swansea. 1st – 2nd July. (2009) Dementia education programme incorporating reminiscence therapy for staff. Poster. Building and Promoting Excellence in Practice, 2nd International Conference, School of Nursing and Midwifery Studies, National University of Ireland, Galway, April 6th – 7th April. (2008) Quality of life of older people with a disability in Ireland. Poster. 27th National Nursing and Midwifery Research Conference, Royal College of Surgeons Ireland, Dublin, 20th – 21st April. (2008) Older people’s perceptions of impendence and the factors that influence quality of life following stroke. Poster. RCN International Nursing Research Conference. Liverpool 8th-11th April. (2007) The meaning of dependence and independence for older people with dementia. Poster. Citizenship: Responding to the Challenge of Dementia. University of Stirling, April 3-4th. (2007) The meaning of health for older people with a disability in Ireland . Poster. Sigma Theta Tau 39th Bicentennial Conference. Baltimore, 2nd – 7th November. (2007) Quality of life of older people with a disability in Ireland. Poster. Sigma Theta Tau 18th International Nursing Research Congress Focusing on Evidence –Based Practice. Vienna 11th – 14th July. (2007) Hearing and vision impairment: A hidden disability. Poster. The Festival of International Conferences on Caregiving, Disability, Aging and Technology (FICCDAT). Toronto, June 16-19th. (2007) A profile of Irish and US nursing homes: evidence for change. (2011) Making a difference through knowledge. Paper. ENTRUST Irish Clinical Nurse Managers Association, 15th Annual Conference, Athlone 28th April. (2010) Making a difference through knowledge. ENTRUST Athlone. Invited paper. (2013) ENHANCING PERSON-ENVIRONMENT FIT FOR RURAL OLDER PEOPLE: THE ROLE OF INFORMAL COMMUNITY PRACTICES. (2013) Rural Informal Practices, Social Exclusion and Age-Friendliness. (2013) Effectiveness of CBT-based rehabilitation for patients who are work-disabled due to back pain. (2012) SOCIAL EXCLUSION OF OLDER RURAL PERSONS: CONFRONTING THE RURAL IDYLL. (2011) The effectiveness of a structured education pulmonary rehabilitation programme for improving the health status of people with Chronic Obstructive Pulmonary Disease (COPD): The PRINCE Study. (2003) A RANDOMISED TRIAL OF INPATIENT VERSUS OUTPATIENT CARE FOR PATIENTS WITH RHEUMATOID ARTHRITIS (RA). (2015) Reminiscence for people with dementia in long-stay care. Report. 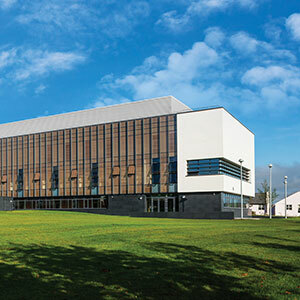 Irish Centre for Social Gerontology, NUI Galway. (2008) Responding to rural social care needs: Older people empowering themselves, others and their community. (2007) Living with dementia: Older people’s accounts of their reality. Health economics, economics of public policy, managerial economics, cost-benefit analysis and economics of social care.